We are very excited to start a new design studio this semester, and would like to invite you all to join the studio presentation next Tuesday, April 24 at 11am. 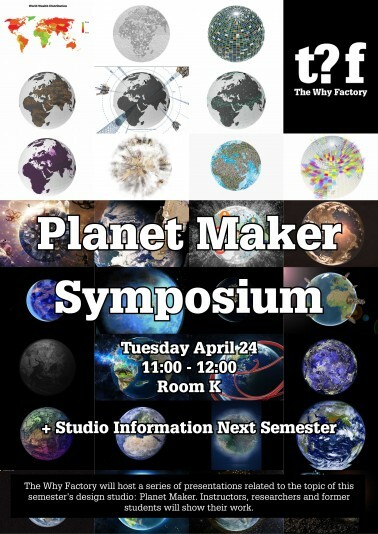 You will have the chance to get to know the contents of the studio, as well as of meeting with tutors, researchers and students of the Why Factory, who will present the design and research already undertaken by the Why Factory. The event will let us get to meet you and will let you to familiarize with our approach and methodology to the fabrication of the Future. See you all next week.